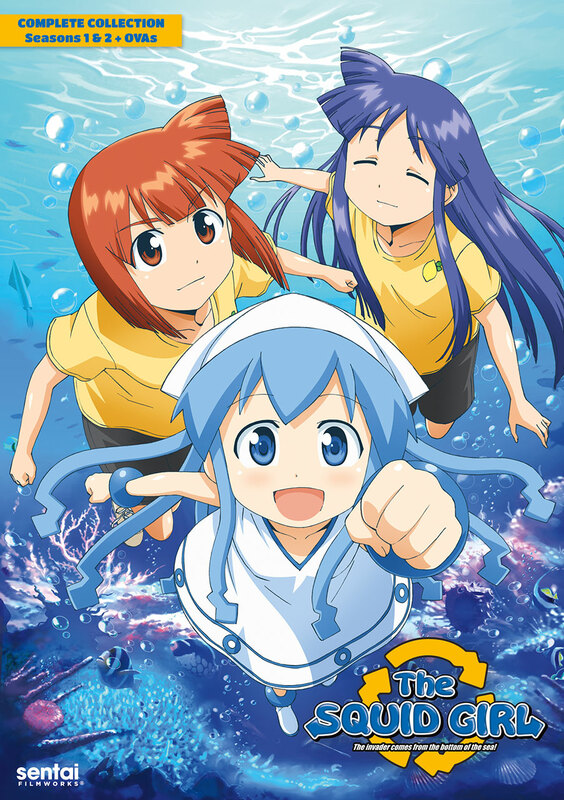 The Squid Girl Complete Collection contains episodes 1-27. Special Features: Japanese Promos & Commentaries, Mini Squid Girl Short Stories, I Th-INK That's English? !, Clean Version Short, Clean Opening and Closing Animations. Recently watched both seasons of Squid Girl and loved them. So when Sentai announced that they were releasing both seasons in one package, of course I wanted it. I know most people have jumped to blu ray, but I don't need super crisp quality to enjoy a good show. So to me this was just fine to have (this is my opinion, I do not mind owning a dvd of an anime). The dub isn't bad (only watched subbed previously), its very enjoyable to watch. Its squiddie good!